FRESH 6 pack 12oz glass bottles of the legendary Dublin Bottling Works Vintage Cola which are ALWAYS ARE MADE WITH PURE CANE SUGAR!!! Since 1891, Dublin Bottling Works has brought its legion of worldwide fans the highest quality sodas ever made! Dublin Bottling Works "Keepers of The Sweet". The Board of Taste Directors sampled the new Cola and we all vote FIVE STARS ACROSS THE BOARD!!! 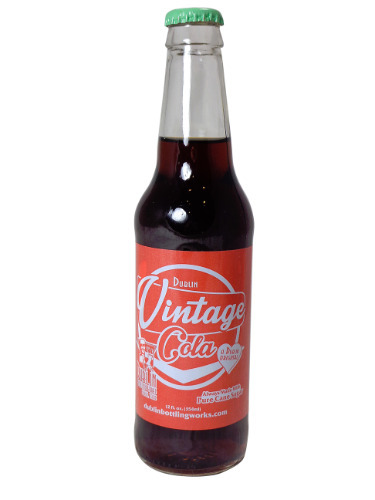 Fantastic fresh and crisp Cola with the smooth finish from the PURE CANE SUGAR!! It tastes nothing like Dr Pepper (true Cola here folks) and we concluded it tastes like a cross between RC Cola and Pepsi. Even our most finicky Board member who is a die hard, addicted Coke drinker and hates Dr Pepper stated she could drink this every day!!! WAY TO GO DUBLIN BOTTLING WORKS! !